From the windy Baltic Sea to the Pacific coast, from the Arctic ices to the wild steppe, expands a country, occupying one sixth of the world's landmass - Russia. This is a country of rustling birch woods and silent pine forests, frosty winters and spectacular summers, mighty Siberian rivers and desolate marshes, frozen tundra and never-ending steppe, golden wheat fields and enormous blue skies, sprawling cities and forgotten villages, onion-domed churches and picturesque Mosques, white-walled monasteries and Imperial palaces, heroic past and thrilling legends, enigmatic icons and stirring symphonies, the home land of Anna Karenina and Doctor Zhivago, Peter Tchaikovsky and Wassily Kandinsky, the Maryinsky opera and the Bolshoy ballet. These are just some of the attractions of this vast and romantic land. Russia has changed a lot over the past fifteen years. Overcoming the difficulties of transforming itself into a modern capitalist nation Russia is a country with a great potential. Once called "The City of Forty Times Forty Churches" or the "Third Rome", Moscow has grown from a wooden village, first mentioned in the twelve century, into a thriving and dynamic capital city. Moscow has long been the centre of political and religious power in Russia and nowhere is this better seen than in the Kremlin, with its conglomeration of onion-domed churches and presidential apartments. This ancient citadel and the near-by sixteen-century St. Basil Cathedral on Red Square harmonize remarkably well with such diverse modern architecture as the Lenin Mausoleum, Stalinist skyscrapers, ultra-modern shopping centres, restaurants and super de luxe hotels. This unique combination of past and present, historical and contemporary, combined with such cultural gems as the Tretyakov gallery and the Bolshoy Theatre is what makes Moscow so attractive. The Venice of the North and the Babylon of the Snows, St. Petersburg is an engineering miracle thrown up by Peter the Great on desolate marshland at the mouth of the river Neva. This is a city of bracing frosts in winter and romantic White Nights in summer, when the sun never seems to set on the Imperial palaces, winding canals, arched bridges, granite embankments, wide prospects and leafy islands. The amazing diversity of architectural styles - the baroque Winter Palace and Smolny Cathedral, the classical Kazan Cathedral and Mikhailovsky Palace, the eclectic Maryinsky Theatre and St. Isaac's Cathedral, the neo-Russian Church on Spilled Blood and the pearls of Art Nouveau on Petrograd island - makes St. Petersburg the eighth wonder of the world. 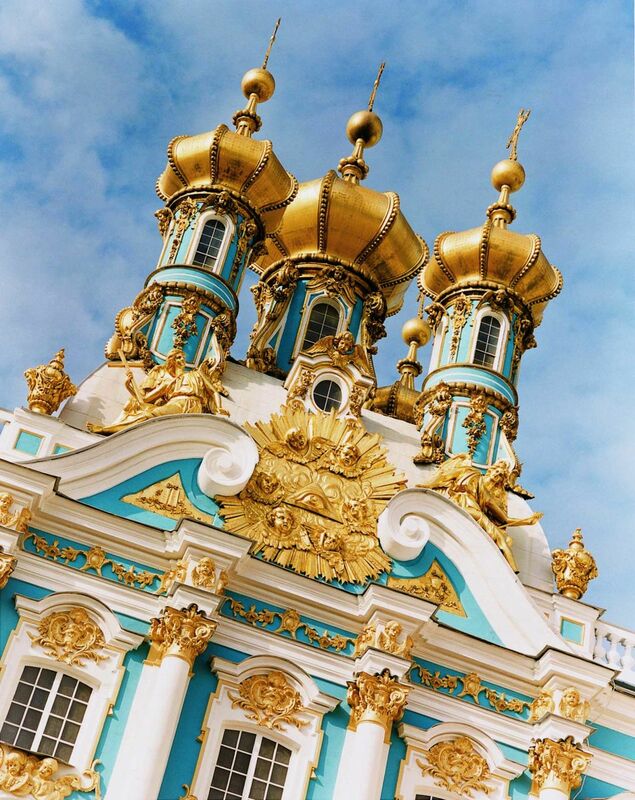 But do not leave St. Petersburg without visiting the parks of Pavlovsk, the palaces of Tsarskoe Selo and the golden fountains of Peterhof.